An Aluminium Tray Sign is great when your shop façade or business needs something with a little more presence. Manufactured using the latest technology with welded corners and machine-folded edges, our Aluminium Tray signs are just the job! Manufactured in out workshop from a single piece of thick aluminium sheet, these signs require no further strengthening. Supplied ready to fix to angle brackets, these signs have no visible fixings – just ask for Aluminium trays with hidden fixings! 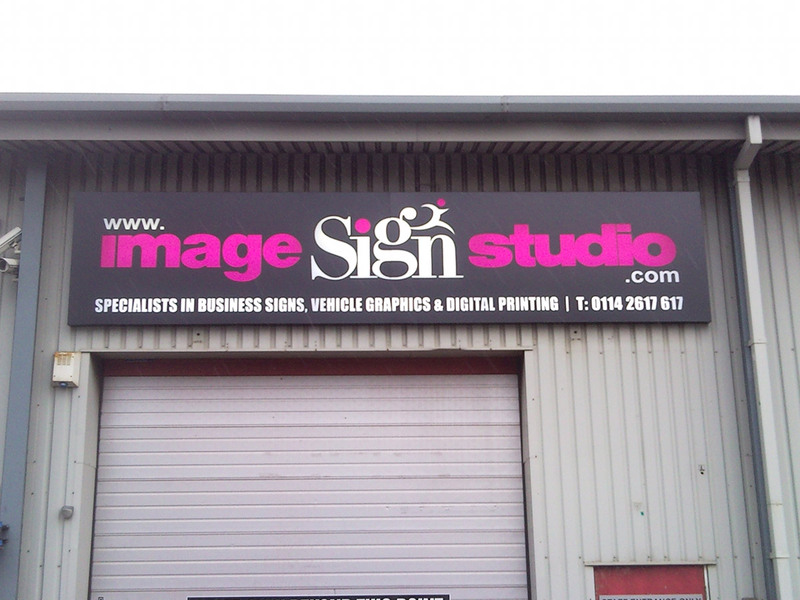 Our fitters are also on hand to deliver and install your new sign almost anywhere in the country.